A little color never goes unappreciated at a grand opening ceremony. 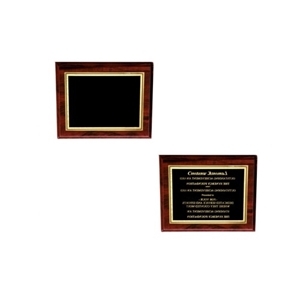 With the opportunities that a judicious use of color awards you when it comes to making an impression on the attendees, you need a tool as reliable as an assortment of quality balloons. 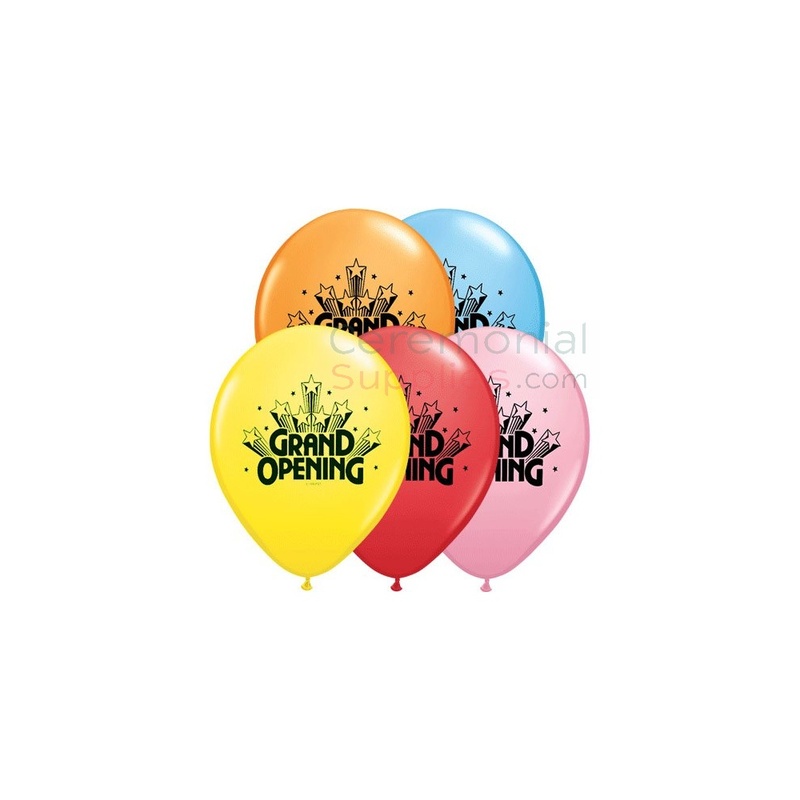 The 11 inch Grand Opening Balloon Assorted Black Design is a decoration that belongs in the aforementioned category, with the bright and vivid colors allowing for high visibility, while the printed text ‘Grand Opening’ in black communicates the event requiring the balloons’ attendance. Balloons are some of the most convenient yet most convincing decorations for a grand opening ceremony, and with the myriad psychological connotations colors possess, you can always use them to direct the mood and flow of your grand opening ceremony. For more such balloons to enliven your grand opening ceremony, browse through CeremonialSupplies.com’s selection of grand opening balloons. 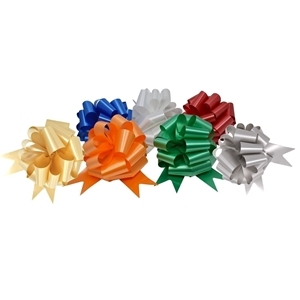 The ribbon features a high quality satin gloss finish to catch the eye of every spectator, and is 4 or 6 inches wide and 25 or even 50 yards in length. 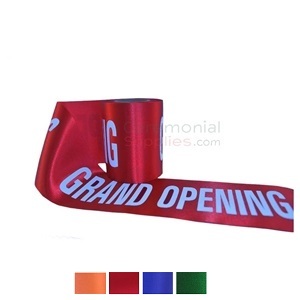 Red Printed Grand Opening Ribbon is perfect for a classic ribbon cutting. 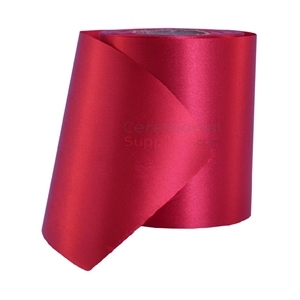 The ribbon measures 4 inches in width (with a 6 inch option available as well), while the length can be 12 yards or 25 yards, depending on your needs.